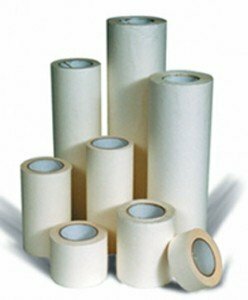 Application tape or paper is employed to hold the spacing of the pre-cut vinyl lettering and logos in position prior to them being affixed to the desired substrate. Application Paper for Vinyl can be supplied by The Vinyl Corporation in various different tack levels, so if it is a fine detail graphic with small lettering and fine serifs then a high tac Vinyl application paper will be used whereas if it is a large display or promotional Vinyl decal to be affixed to a shop or showroom window then a low tac setting up paper or application tape will be used. 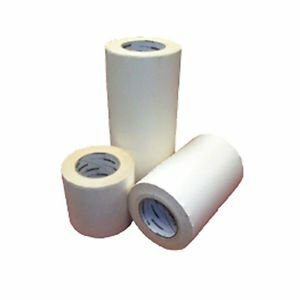 There are many varied Vinyl Application papers on the market and they have different tac strengths and different propensity to tear when being used, Most sign makers when covering their vinyl signs will choose a paper with enough grab to release the adhesive vinyl sign from the release paper, or backing paper so a medium tac PERFECT TEAR 575 will work well so that the fablon or sticky back plastic can be removed from the silicone release liner and applied to the sign board after preparing the area with AVERY SURFACE CLEANER. 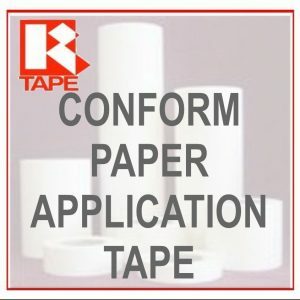 Should the VINYL FILM be cut into Vinyl Signs for future use and to be stored The Vinyl Corporation would highly recommend that CONFORM 4075 RLA with the “lay flat” quality made by R-TAPE is the very best choice from the sign writing supplies catalogue. 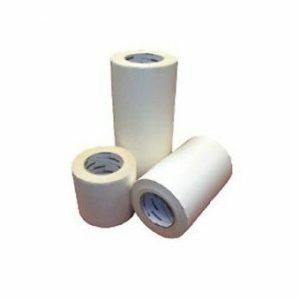 The Vinyl Corporation provide all the essential SIGN TOOLS and equipment to cut and trim the vinyl application tape and any VINYL APPLICATION TOOLS that the vinyl sign making supplier can have at their disposal to make the sign maker more efficient.